Home / Do consumers want a cashless society? Do consumers want a cashless society? The adoption of contactless payment is being hindered by lack of understanding from consumers particular in terms of security risks. 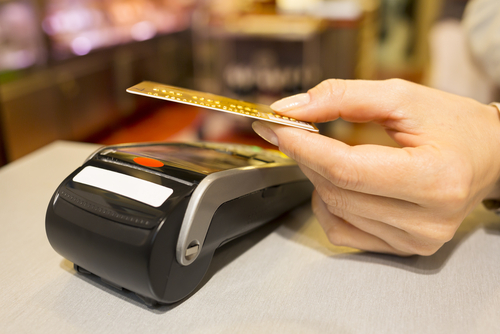 In a survey by Vista Retail Support, a leading independent IT services company, supporting customers in the UK, Europe and North America, more than a third of consumers (38%) are avoiding contactless payment methods. One reason for the slow adoption is simply down to card holders not recognising which of their bank cards support contactless payment or if they do, they are not sure how it works. Retailers are not helping the situation either, as the survey also reports that three quarters (75%) of respondents said they have never received any encouragement from staff to use contactless payments in shops or fast food restaurants. With speed being stated by nearly all respondents of the survey as the biggest benefit of using automated payment solutions, the future of contactless payment remains positive. However, a fully cashless society is perhaps more the priority of the retailer rather than the consumer. Only 18% of people polled thought British retail would be cash-free within the next ten years and 27% were of the opinion that Britain would never (or perhaps shouldn’t) be cashless in retail. Richard Cottrell, sales and marketing director for Vista Retail Support confirms the survey outcome: “The results clearly demonstrate that there is a lack of confidence and understanding about contactless payment technology. Shoppers need much more information about these payment methods and more encouragement to use them”. Meanwhile usage of other retail technologies is increasing. 73% of people surveyed use self-scan payment kiosks, 61% use click-and-collect shopping and over half (57%) said they use in-store Wi-Fi and mobile apps (53%). Aware that while technology is a must in society today customer service should remain their priority, Cottrell reminds retailers and brands not to forget this: “Today’s consumers quite literally have a choice of channels at their fingertips and most simply aren’t prepared to invest their time using technologies that have failed in the past – or spend money with retailers that have let them down. As such, it’s absolutely critical that brands invest in good service and keep their existing devices and supporting infrastructure running smoothly”.